I have written reviews for both How the States Got Their Shapes and A Bit of Fry and Laurie for TV Geek Army, and so it probably is unsurprising that I decided to watch the entirety of Stephen Fry in America when I found it on Netflix instant streaming. That is not difficult, as it was a six-part series that ran on BBC in 2008. The premise of the show is simple. Stephen Fry, a noted figure from England, travels across the United States, starting in Maine and ending in Hawaii. Each episode features a different portion of the country, and along the way he mostly travels via driving around in a London taxicab. While each episode is 59 minutes, covering 50 states in six episodes of television is obviously difficult, and as such it should come as no surprise that some states get only a smattering of screentime. Some states only get a minute or two, with Fry visiting one site briefly. For example, Colorado gets one quick trip to Aspen from Fry, and that's it. In a lot of the states Fry only really visits one place, so this isn't exactly an in depth travelogue. Some places do get a fair amount of time, but they tend to be salacious. I am fairly certain the two sites that got the most coverage were a body farm in Tennessee where human corpses are left strewn about to help study body decomposition and a brothel in Nevada. So, all in all, if you are looking for something heavy on education, there are better shows about the United States, including the aforementioned How the States Got Their Shapes. That being said, Fry is an excellent focal point for the show. He is very smart and very eloquent, and his enthusiasm for his trek across country is clear. Even when he is talking to people such as Bigfoot believers, he genuinely engages them in conversation and lets them speak their piece. Not that he is above deriding aspects of this country. He certainly didn't have very kind things to say about Miami. Fry isn't necessarily intent on squeezing laughs out of every situation, but he certainly is funny from time to time, and he definitely excels at being center stage for this travelogue. 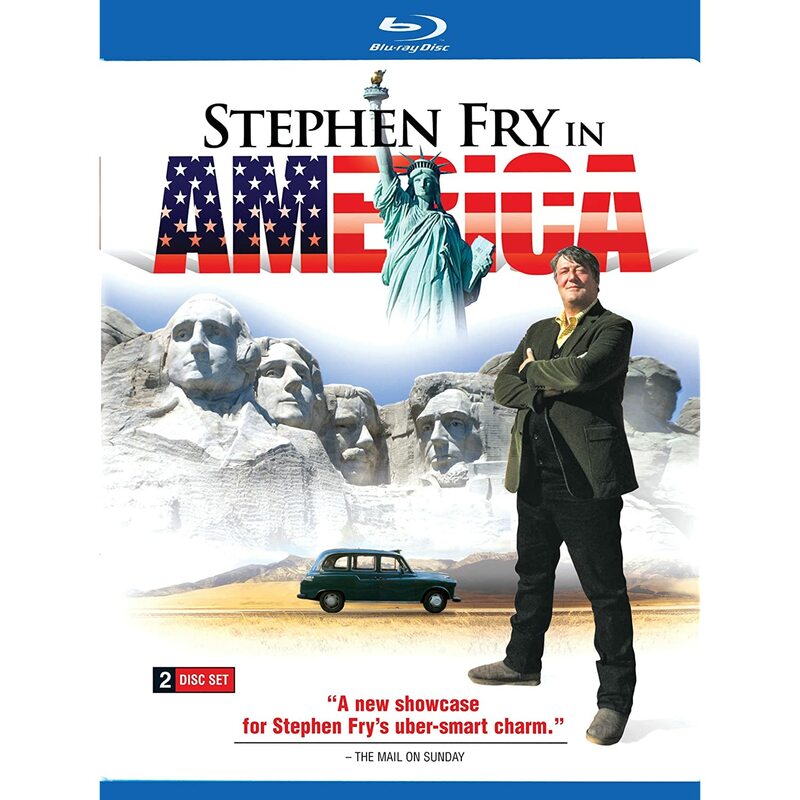 Stephen Fry in America is overall a good show, if a fairly slight one. Nothing about it, aside from Fry's hosting, really stick out, but there are also only a few things that detract from it as well. It has a bit of humor, a bit of interesting information, and some very engaging conversations between Fry and the people he meets along the way. Also, if you are interested in sightseeing, there is certainly plenty of scenery that you may enjoy. Plus, you can always pick and choose on Netflix if, say, you aren't interesting in New England but want to watch him travel up the Mississippi River from Louisiana to Minnesota. Travelogue fans, and fans of Fry, take note. Fry is a man of many many talents, one of them being that he's astonishingly good novelist.